Burnley manager Sean Dyche bemoaned a 'poor first half' performance after his team's eight-game unbeaten run was brought to end by a 2-0 defeat to Newcastle at St. James' Park. A superb long-effort from Fabian Schar and a first Premier League goal for Sean Longstaff before the interval gave the Magpies a comfortable victory. Defeat for ​Burnley leaves them in 15th place in the ​Premier League table, six points above the drop zone, a gap which could be narrowed to just three points if Southampton win their match against Fulham on Wednesday. After the game, Dyche admitted to Match of the Day that his team were not good enough in all facets of the game. 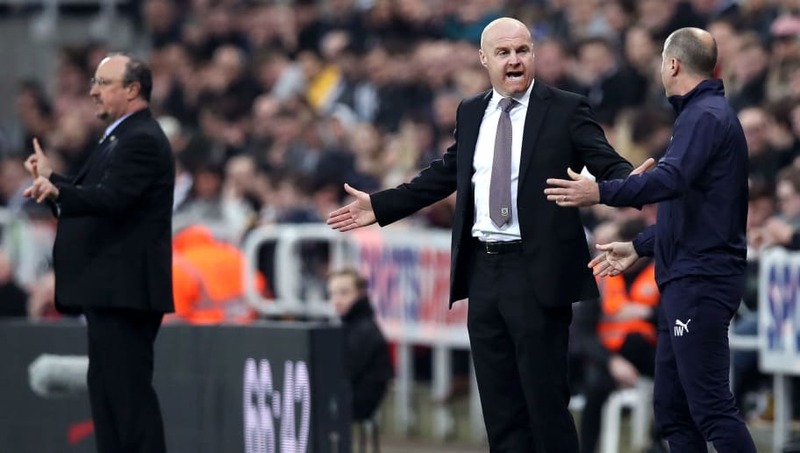 "It was a really poor first half, a long way short of where we have been," Dyche began. "I don’t want to be too critical we just didn’t have the fight we have had recently. Credit to ​Newcastle they played well. Even not playing well we had two big chances. "Gudmundsson has a shot and then he is fouled, I said to the referee if that’s in the middle of pitch it is a foul. We were at the races in the second half, we huffed and puffed a bit created some chances and a couple of scrambles." Regarding Burnley's first defeat in nine matches since Boxing Day, Dyche stated: "It is a fact. Our performances have been good we have earned the right to be where we are, we do have the odd game like this but it is a good reminder for the players. The mentality was better second half, we looked more like ourselves and we’ll take that into Saturday." Dyche and his players will be hoping to return to winning ways on Saturday, when they welcome ​Crystal Palace to Turf Moor.